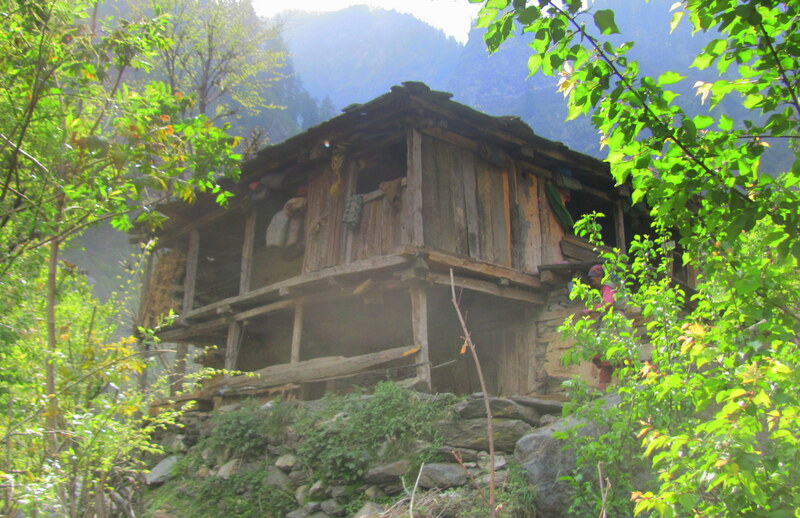 Malana- the Little Greece, the Mysterious Malana, the disappearing Malana:My travel story to one of the top 10 getaway Indian villages. 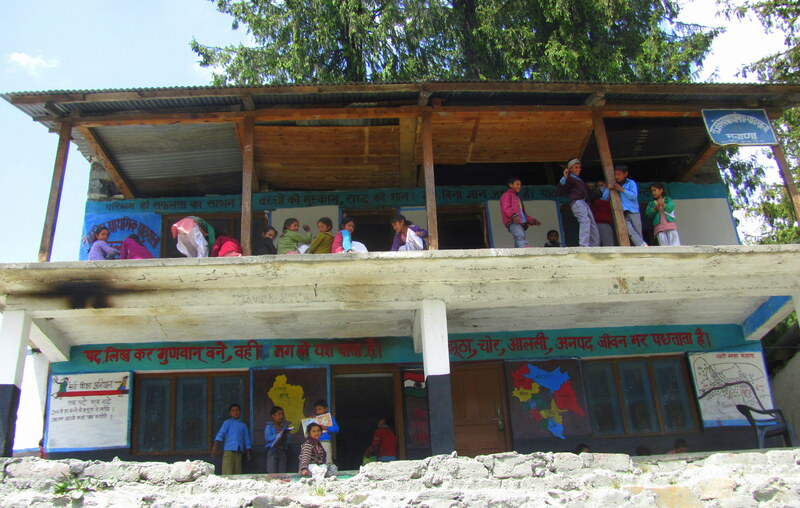 I first read about Malana from the below site which I came across some day in the 3rd week of March 2015. 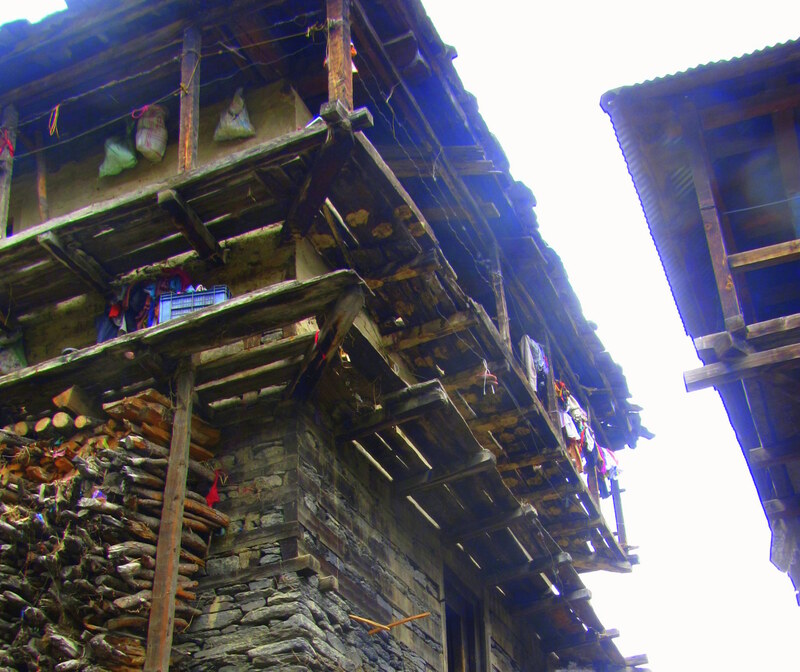 This ancient Indian village in Himachal Pradesh, completely isolated from rest of the world, at a height of 9938 ft (3029 meters) above sea level, is located below the Chanderkhani Pass to the north east side of the Kullu Valley. Also known to be the oldest democracy with no signs of modern civilization,the residents are the descendants of Aryans. Very famous for the Malana Cream or Charas, that’s what the people of Malana make their living with.The Malanese people have their own rituals,customs and religious beliefs which they admire.Anyone outside Malana they consider as inferior and untouchables.The visitors who are supposed to walk on the small road made just through the village should refrain from touching anything in the village,even getting down the road or they end up paying up some penalty. 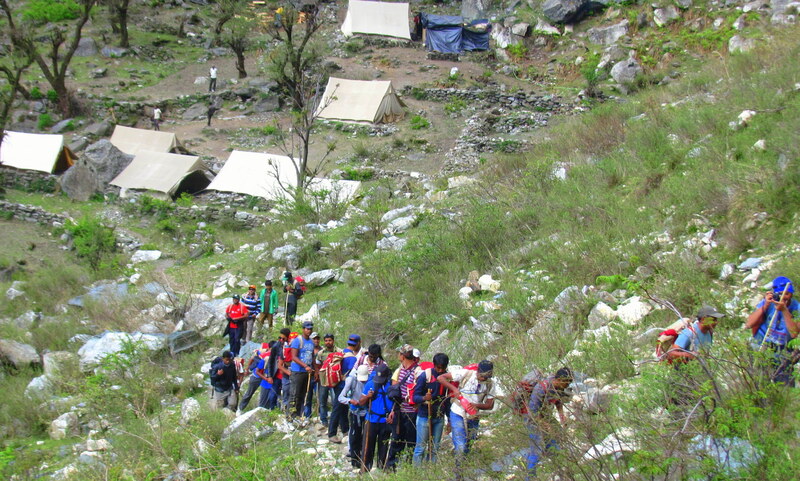 I am calling it climbing and not reaching as one has to climb up through the steepy and onerous rocks.Hiking is the only way to reach here from Parvati Valley, Manikaran after a 10-hour trek or via Nagar over the 3600-meter high beautiful Himalayan Chanderkhani Pass. 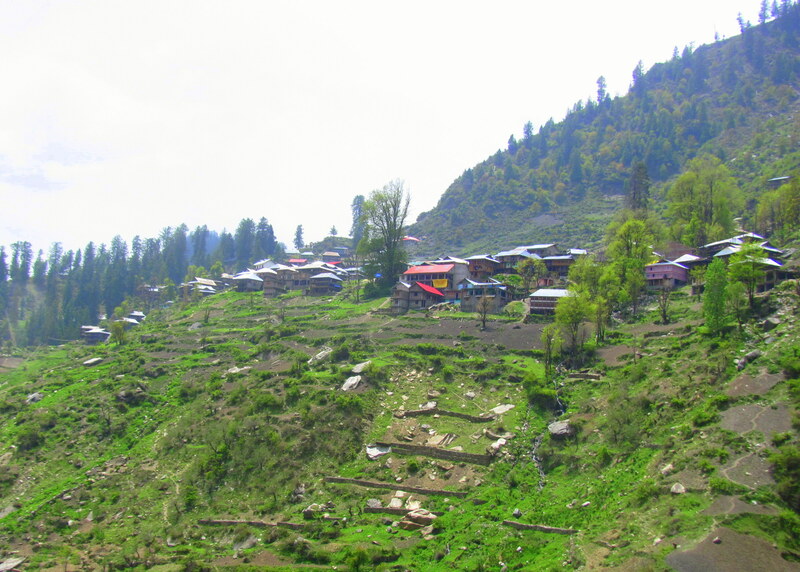 The easiest and shortest way is from the village Jari, 23 kms, connected to Kullu valley. Since I was on my 10 day Himalayan Chanderkhani Expedition, our group of 52 people was escorted from the Base Camp Seobagh in a bus,dropped at the Malana Hydro Power Station from where our trek actually started.There came a huge tunnel on the way, one good photography point it was for us. After moving little further was a Malana Board and very chilling water flowing near by.I was just standing there watching others getting down the water when one of my trekmate Rithvik asked “Wanna take a dip”? Soon we were there and OMG that crazy cold water almost killed us.Even on a sunny day like that, it was so terribly cold.We started walking further and yes the trekking had actually begun,the huge pine trees, the stones, the jungles. We reached our first Camp Yosgo before time while they allowed us in at 4:00 PM.I remember that evening at Yosgo camp while sitting with my trek mates trying to search around in the mountains,where actually we would be walking through the next day but in vain.Our Camp leader did show us the way up,but that looked like some joke to me.Damn how can someone walk there! !On watching closely, we could spot two villagers walking towards the village.Some serious adventure coming up next day,I thought. We left next morning around 8:00 am after the breakfast.Also got a bunch of Do’s and Dont’s from our Camp Leader and some facts about the village.We followed our guide who happened to be a young chap.Me and Shaily walking just after the guide, kept on asking him how far was the village and he kept on fooling us, and said not very far.Huh!We requested him to give us little break but he would not.Such a studious and fast trekker he was. After 3 hours of walk, around 11:00 am finally we saw a plain road and no more steepy rocks, soon we found some shade and threw our bags aside.Break Point!! 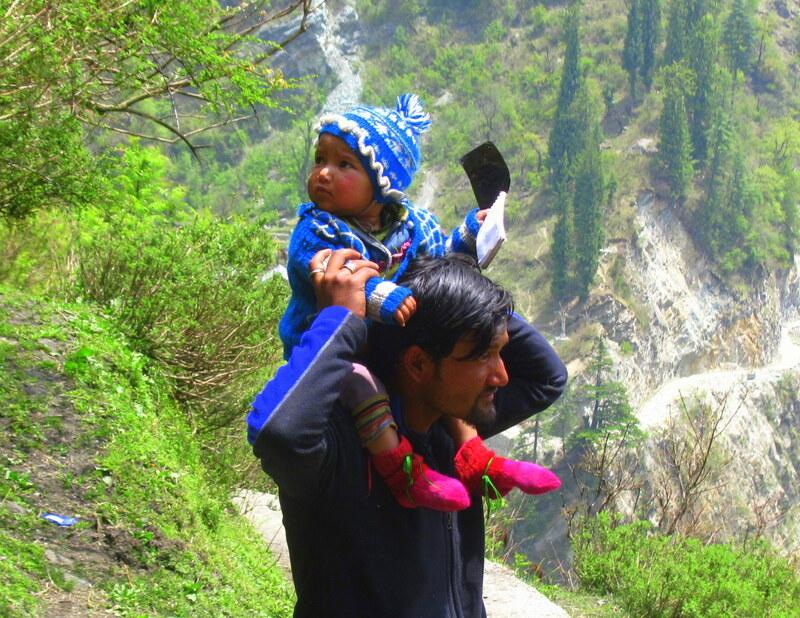 We were hungry and searched our bags for anything to eat.I found some biscuits,others had chikki.Nayan wanted me to give my resting place, just under the tree to him, I did not.Shaily and Jaimin fought. Celian,was the poor victim again.Me, Megha, Shaily, Nayan, Celian, Jaimin, Anuj, Samant had some gala time there.After some 15-20 minutes break we started walking again. 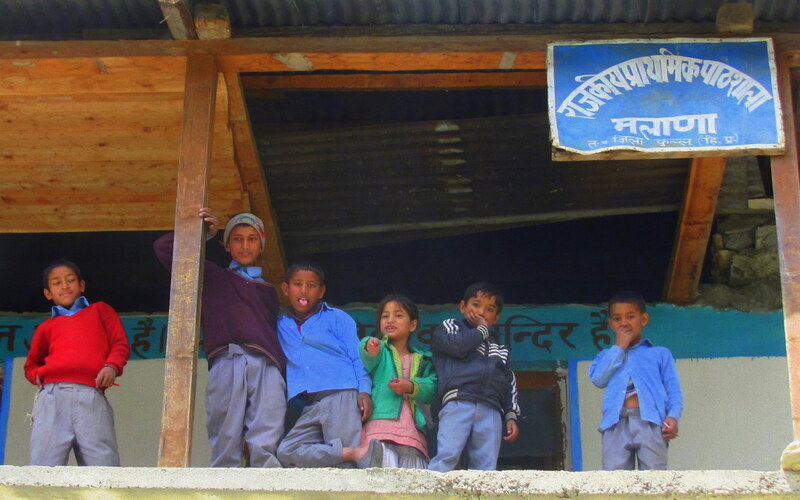 The village begins with a small two storeyed school at the leften side of the road.The kids looked excited seeing us and waved at us.How happily they posed for pictures.There was a little boy carrying a can of water and the girl who came to us asking for chocolates.The road on which we walked was narrow and we all made a single line. Rithvik, so lost with his Camera and the place would often get down of the road, pretty savior I was for him to remind him to walk on the road. 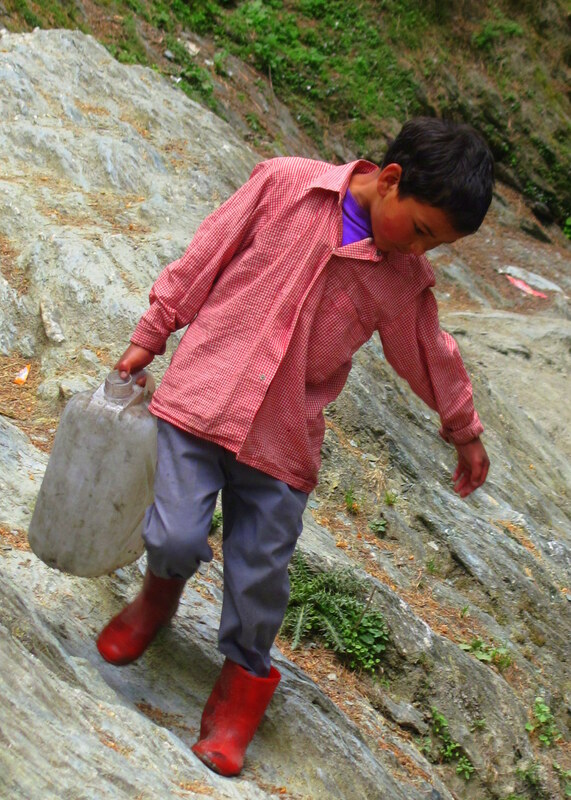 Another trekmate Adarsh,I don’t know why but got the name “The Malana Baba” here by his gang. 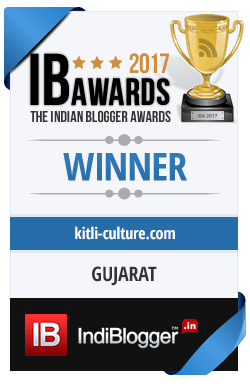 We also saw a group of people playing carrom in one of the house, spotted an aged man and a kid probably a Grandpa-Grandson in one of the balconies sleeping, two females waving to us from the window of another house. So engrossed I was observing each and every corner, that I could click very few pictures to put up on my blog which I realized later. Since we had to move further to our higher camp we did not have time to explore more about the local culture by talking to the villagers, but definitely there was lot more worth finding about this mysterious place. The memories of walking though the village was like a dream come true for me. 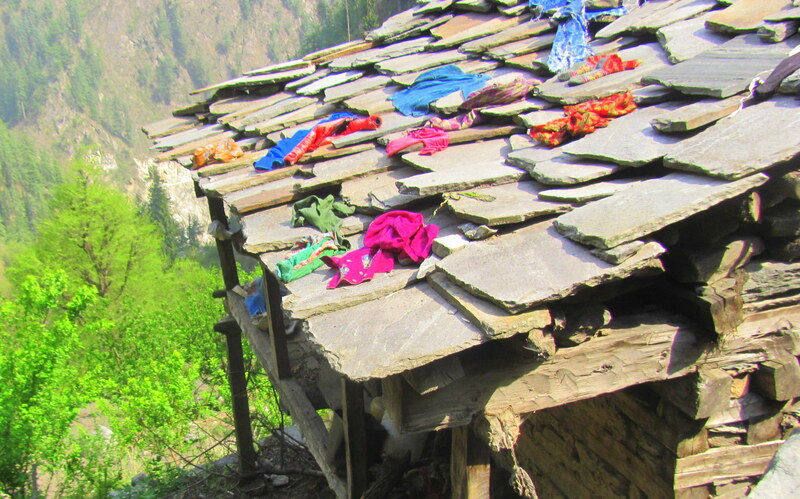 We were 52 and I am pretty sure each one of us has a story to tell about Malana. 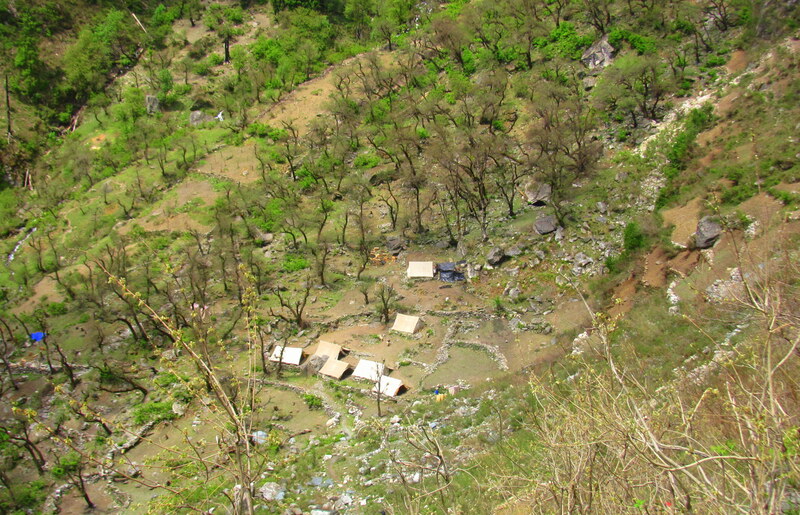 After passing over the village, I turned back, the view of the the entire village gave me a feeling of self-complacency.The look of the tiny beautiful houses scattered over the mountains was truly astonishing. I wondered what a life these people lived. Would it be an easy or a difficult one, without all the modern amenities, the electronic gadgets, the multiplexes, the restaurants? But what belonged to them was something away from our reach and only that we could dream of. 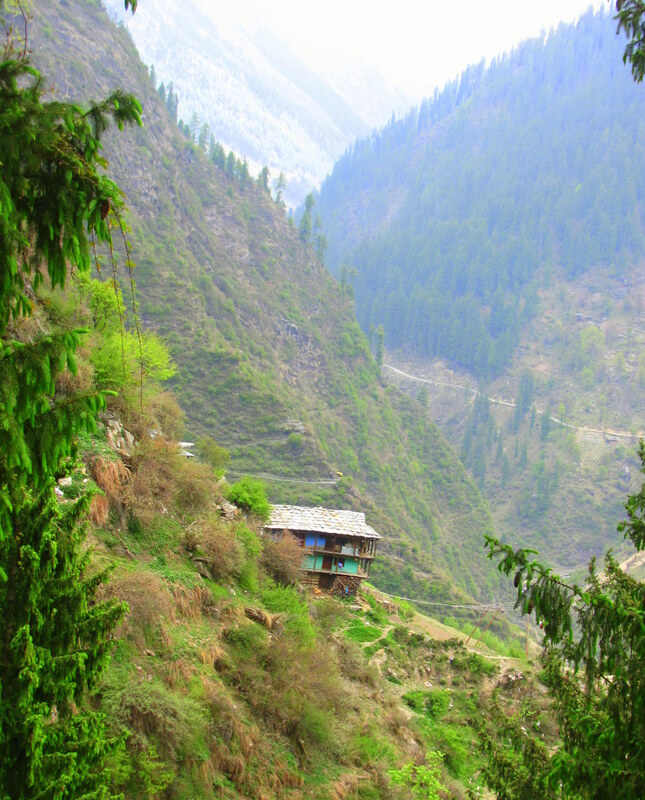 A life in the mountains,a dream house, that magical view from the windows…What a Bliss isn’t it? 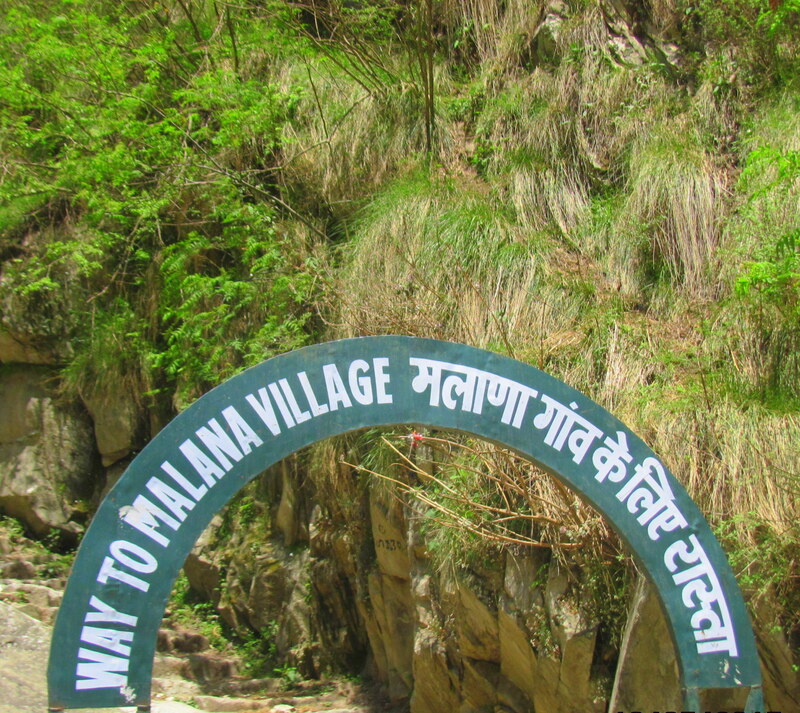 Malana Board:Soon after the Malana Hydro Power Plant. 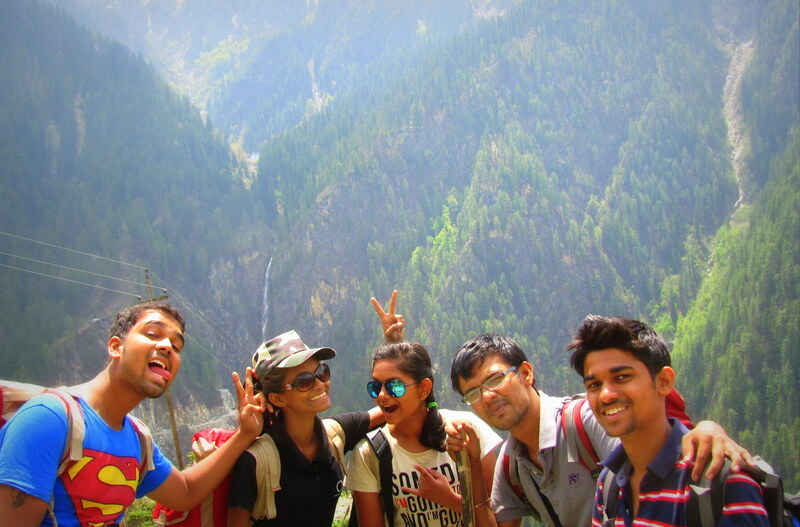 On the way to Malana.Soon after Yosgo Camp. I so much loved his boots. Hi polomi that was a nice description of Malana. We were in the CP-11 batch. We found the village to be very very dirty, stinking. I made it very clear to the village pradhan that if he expects any help from the govt …..which he felt should come then it will be difficult until he does some cleaning in the village. Yes it was dirty though..but high up there in the mountains what you expect?! I doubt if there must be people in the village who might show cleanliness awareness and work on it unless and until outside people take it up..